The next title in the popular Rainbow 6 series will be called Rainbow Six Patriots. But don’t get too excited just yet – the Tom Clancy-inspired first-person shooter isn’t set for release until sometime in 2013, marking a five-year wait since the last Rainbow Six console title. The new game is being developed by Ubisoft Montreal with support from the Toronto and Red Storm divisions. Players will follow Team Rainbow as they take on a new terrorism group known as the True Patriots. Members of this organization are highly-trained and claim that the US government is corrupted by greedy politicians and special interest groups. As such, they seek to overthrow the government and replace it with a system they feel is “right and just”. The setting for the game hasn’t been revealed yet but a few aspects of gameplay were announced. Gamers will control multiple characters throughout the single player storyline, often times putting them in situations where they must make split-second ethical decisions that could affect how the mission ends. "Terrorism has evolved, and so has Rainbow 6. In Tom Clancy's Rainbow 6 Patriots, all the team play, tactics, and realism that fans of the series love have been coupled with an exciting new narrative direction," said Ubisoft creative director David Sears. "This adds an unprecedented level of humanity that will make Tom Clancy's Rainbow 6 Patriots an extremely tense and immersive experience." Multiplayer will be a key feature, with cooperative and competitive modes available. In cooperative mode, players will be rewarded for working together and using new communication and tactical execution methods, although these weren’t specifically outlined. Game Informer has an exclusive target video that you can check out by clicking here. 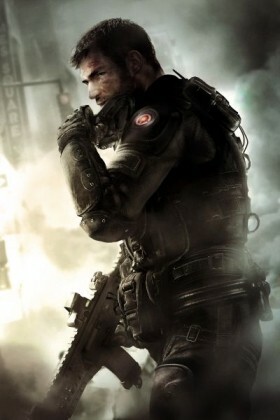 The game is set to release on PC, PlayStation 3 and Xbox 360 in 2013.